Connie Ramos-Williams, president and CEO of CONRIC PR & Marketing | Publishing, recently served as graduation speaker for Goodwill Industries of Southwest Florida’s latest MicroEnterprise class. For the past two years, she has presented on topics that include guerrilla marketing, creating a winning marketing plan, and the power of a press release. During her commencement speech, she shared her personal entrepreneurial journey, which began in 1999 with the launch of her first of three businesses, Southwest Florida Parent & Child magazine. Her story inspired the budding entrepreneurs at their graduation ceremony held on August 4, 2014. Goodwill’s MicroEnterprise program is designed to help individuals with low to moderate income levels and other disadvantages to start or stabilize their own businesses. Ramos-Williams shared her journey from the conception of Southwest Florida Parent & Child, the obstacles she faced and profitability that eventually led to the sale of the magazine, which is still going strong today. 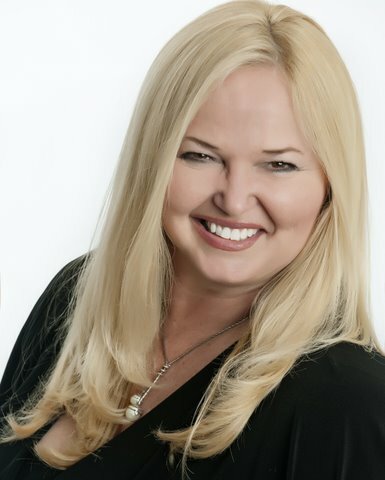 She later developed another entrepreneurial magazine that was also sold, leading her to her current successful enterprise, CONRIC PR & Marketing | Publishing, a full-service marketing, advertising and public relations agency, which also encompasses digital strategy, reputation management and publishing. Goodwill’s MicroEnterprise classes run for six weeks. For more information, visit goodwillswfl.org/microenterprise or call (239) 995-2106, ext. 2219. CONRIC was founded in 2007 and provides creative writing and graphic design in all areas of multi-media marketing, public relations, advertising and publishing. The firm currently serves clients in many different industries including banking, legal, medical, not-for-profit, restaurant, manufacturing, builders, developers, Realtors, salon & spas and political campaigns. The firm also publishes a monthly magazine for the Lee County Bar Association and a quarterly magazine for Bishop Verot High School. For more information on CONRIC PR & Marketing | Publishing, please call (239) 690-9840 or visit https://www.conricpr.com.